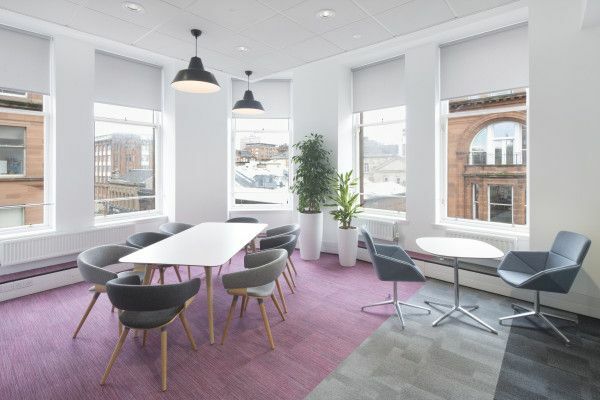 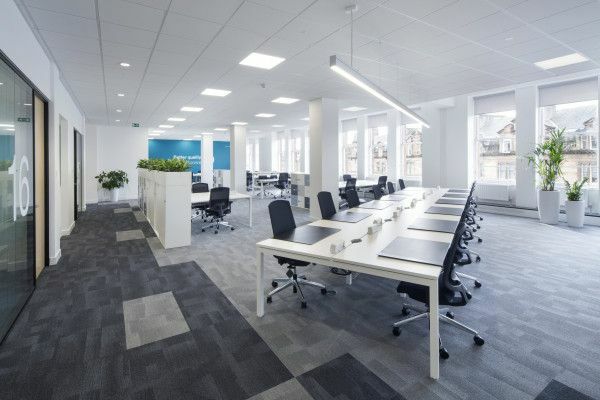 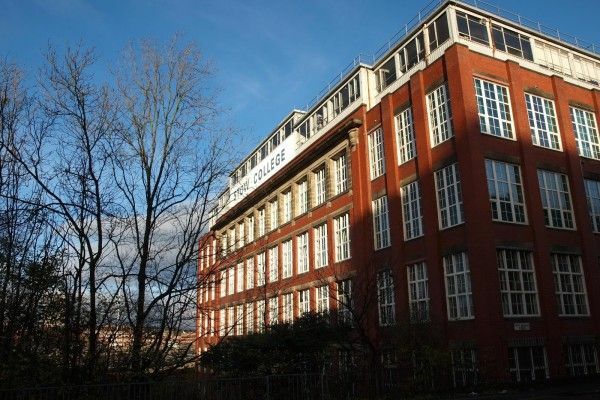 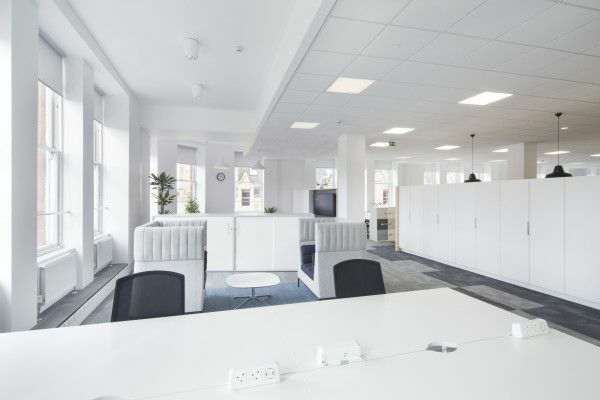 akp has completed the refurbishment and fit out of new 26,100 sq/ft open plan offices within the Merchant City area of Glasgow city centre. 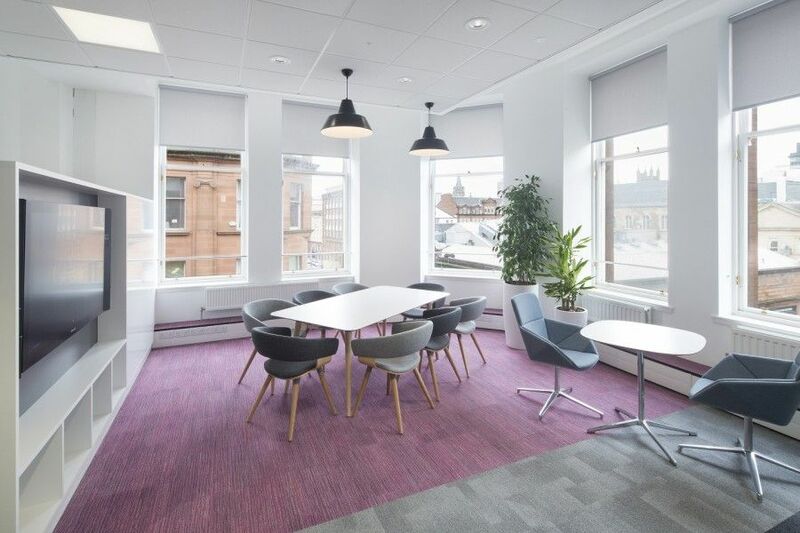 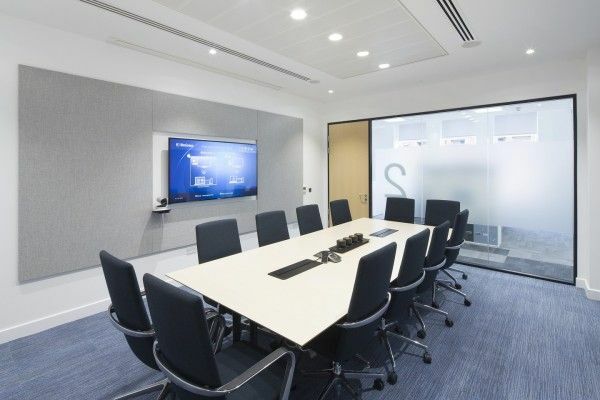 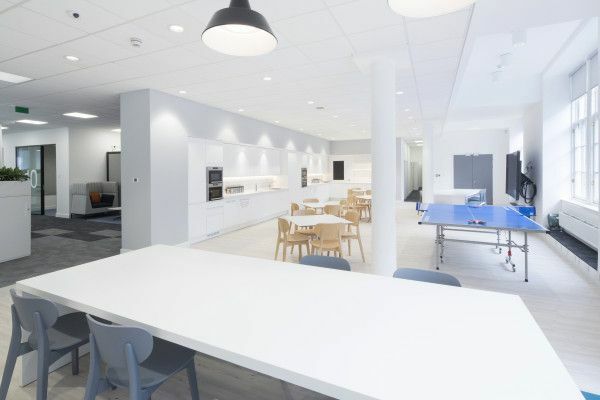 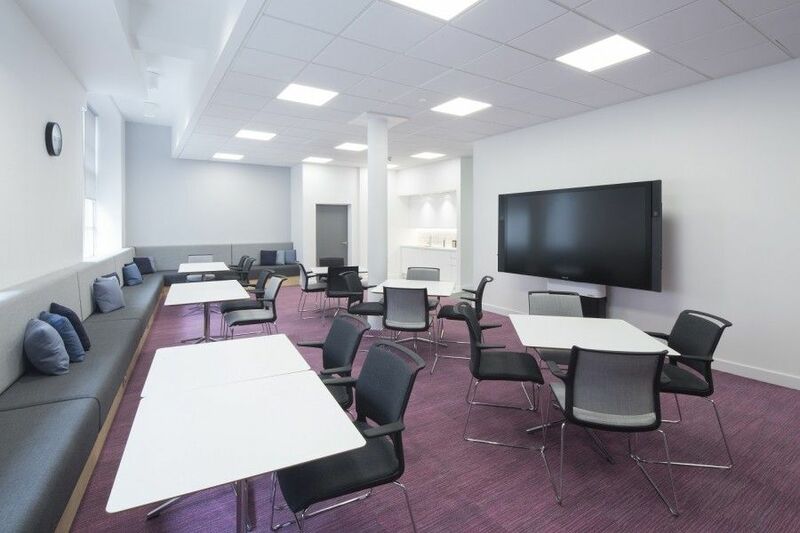 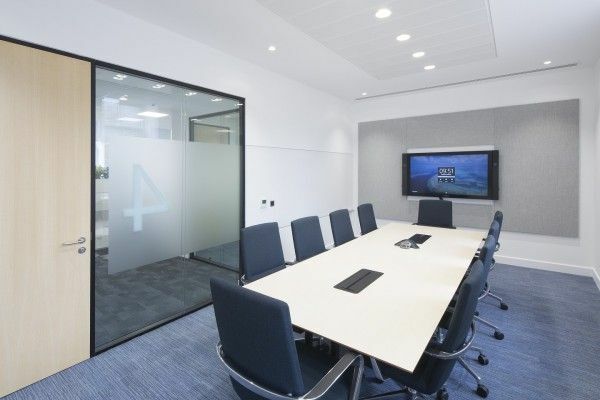 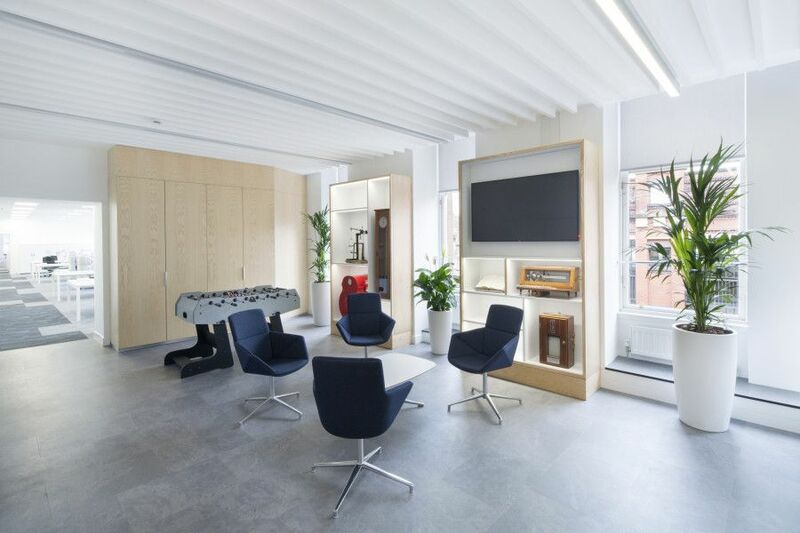 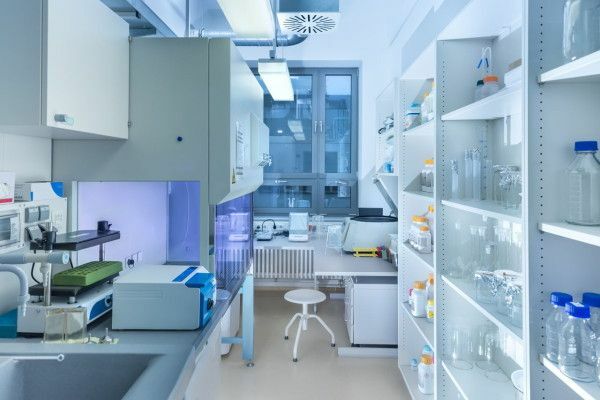 The project involved the full fit out and M & E installation across the full 3rd floor of Commonwealth House, with new internal partitions and finishes throughout in addition to the formation of meeting rooms, small quiet rooms, ancillary accommodation, and kitchen areas. 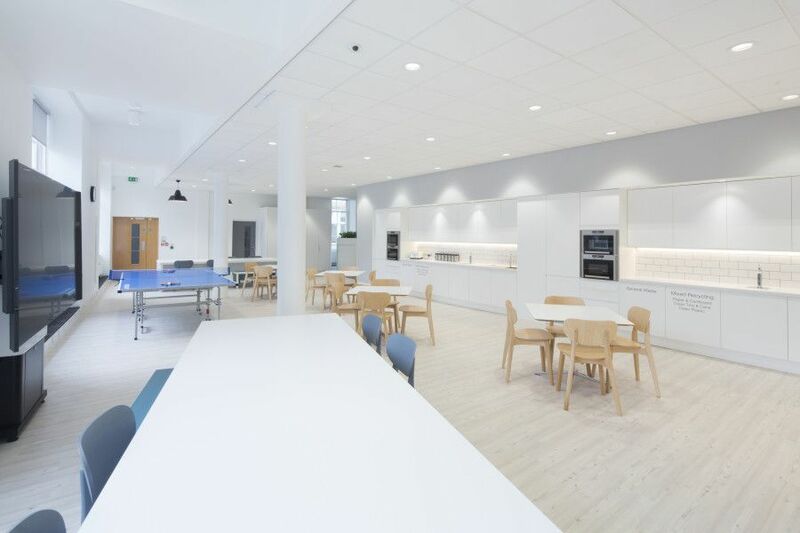 There is a new large open plan café/refreshment hub with new tea-point facilities which also includes feature lighting and floor finishes. 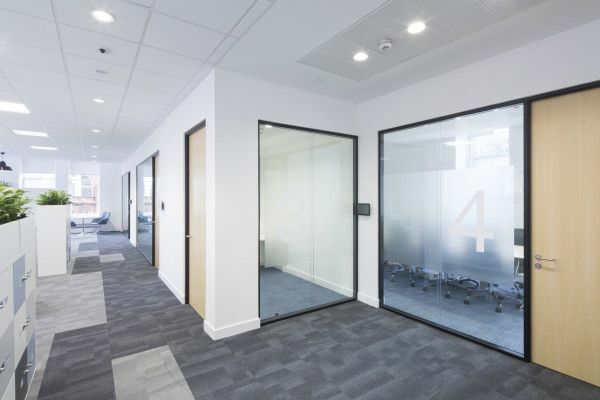 Each area of the office floor plan has a central zone which houses meeting rooms, quiet rooms and print points, featuring carpet design and areas of lowered ceilings and change in lighting. 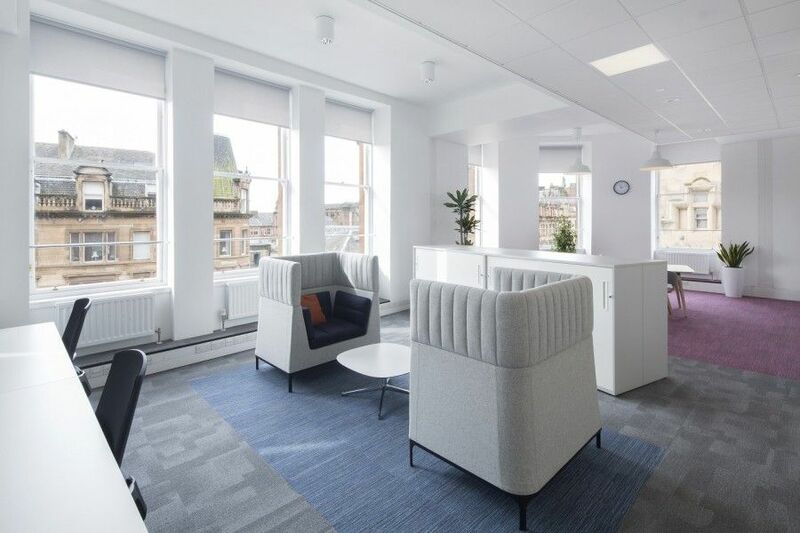 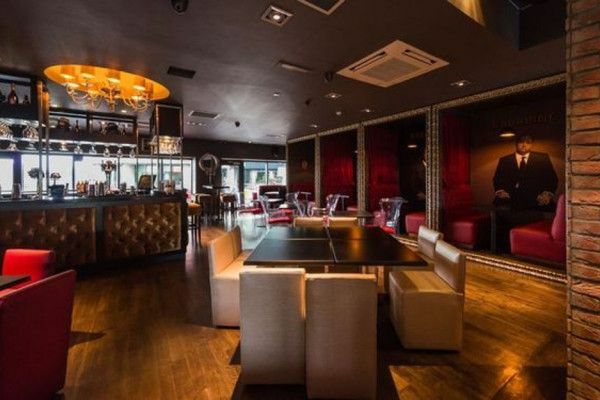 Bespoke joinery items feature within the fit out include new reception desk, booth seating, banquette seating, and facility points, storage displays and storage units.